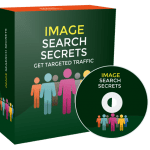 In this PLR Content Pack You’ll get 10 Top Quality Common Affiliate Marketing Mistakes PLR Articles Pack with Private Label Rights to help you dominate the Common Affiliate Marketing Mistakes market which is a highly profitable and in-demand niche. These Common Affiliate Marketing Mistakes PLR articles are available in Text file format and can be downloaded instantly after purchase. 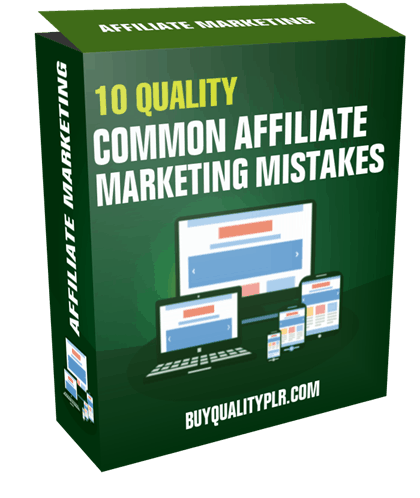 What Can You Do This Common Affiliate Marketing Mistakes PLR? 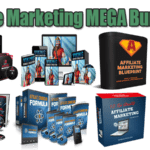 There are a plethora of affiliate marketing strategies and tactics employed by many successful affiliate marketers to ramp up their sales and commissions. While some strategies may seem advanced, they are all usually based on the fundamentals of affiliate marketing. You need content. You need traffic… and you need to position the right offer in front of the right audience. The goal is to help and also gently guide the reader towards a purchase. As an affiliate marketer, your job is to be a ‘conduit’ that takes an interested visitor to the sales page which will go on to sell the product. That’s really all there is to it. All other intricacies can be boiled down to this goal. Let’s look at a few highly effective strategies employed by thousands of affiliate marketers all over the world. This is without a doubt the most popular strategy. To promote a variety of products you need a niche site. The content that’s interspersed with your affiliate links will make you sales if you do it right. You’ll need to learn the basics of setting up a site, optimizing it, creating content that converts and a few other things. Once you get a grasp of the fundamentals, the sky is the limit. As long as you grow your site, your earnings will increase exponentially. Some of the large authority sites make 5 to 6 figures a month in affiliate commissions. That’s how powerful this method is. Everyone is on social media these days. Having Facebook groups and Pinterest boards dedicated to your niche, will allow you to tap into existing hotbeds of traffic while targeting and audience that is interested in your niche. Through the links in your posts and pictures, traffic will trickle to your site and you’ll get sales. 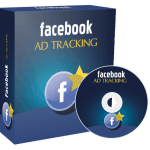 Some affiliates prefer to direct link the pictures in Pinterest to the affiliate products. That’s fine too. What matters is that you hang out where your audience hangs out. 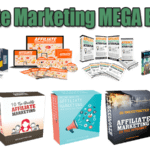 We will only be selling 50 copies on this Common Affiliate Marketing Mistakes PLR content pack, so don’t waste any time and grab your PLR license while it’s still available for sale.